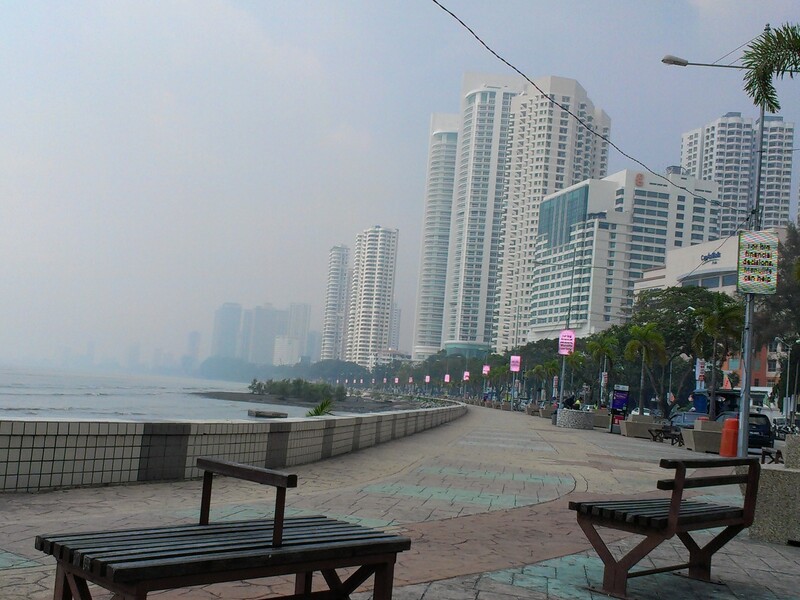 Penang had been little troubled this year by haze, but it’s now back with a vengeance. The view this morning from Gurney Plaza looking towards George Town. Close, but can’t see George Town today.